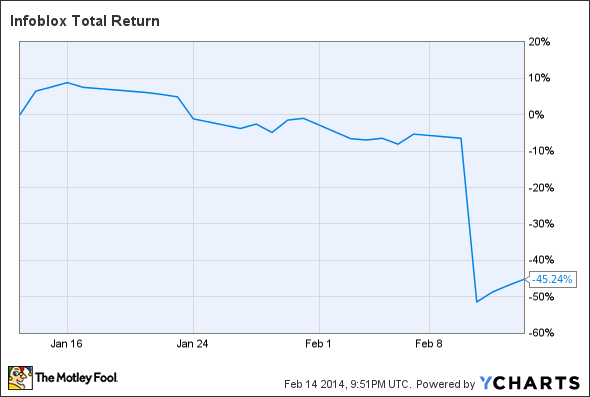 These 3 Stocks Fell Apart for a Month. Can They Rebound? Infoblox (BLOX), Barrett (BBSI), and Internet Initiative (IIJI) shared a common fate this month -- they've all been crushed by a reduction in earnings guidance. No one wants to own a stock that's falling, but if you invest long enough, it's inevitable -- even the best investors have had their share of stinker stocks. But just because a stock is hurting today doesn't mean that it's bound to drag your portfolio down forever. It's important to distinguish between stocks that are on their way to oblivion and those that are simply waiting for the right piece of news to soar again. Today we'll look at three of the stocks with some of the worst losses on the market over the past month of trading. They might have just become great investments, but the reasons for their collapse might also have made them too dangerous for your portfolio. We won't know until we dig deeper, so let's get right to it. Sources: Finviz, YCharts, and Yahoo! Finance. The guidance downgrade resulted in multiple analyst downgrades from Wall Street, and even after the crash, Infoblox isn't exactly cheap, as its new full-year EPS guidance range of $0.30 to $0.34 pegs the stock's forward P/E at roughly 60. However, the company has been growing quickly since its 2012 IPO, and both revenue and free cash flow are now 80% higher than they were as reported in Infoblox's earliest filings. GAAP EPS, while still negative, have been moving rapidly toward breakeven as well. However, full-year revenue is now expected to be just 5% higher than Infoblox's latest trailing 12-month result, so slowing growth would certainly be a reason to shake off earlier optimism about this stock. Barrett's fourth quarter was actually better than expected, as the company reported revenue of $779.3 million and adjusted earnings of $1.16 per share, which met the analyst consensus on the top line and beat the bottom-line consensus by four cents. Unfortunately, Barrett now expects a steep loss of between $0.45 and $0.50 per share for the first quarter, and its revenue guidance of $735 million to $755 million fell short of the $761 million consensus. Barrett's first quarter is typically its worst on the bottom line, but last year's loss of $0.37 per share was better than what's expected this year. Still, Barrett is rather cheap for a company that Wall Street expects to grow by a whopping 37% on the bottom line in 2014 over last year. 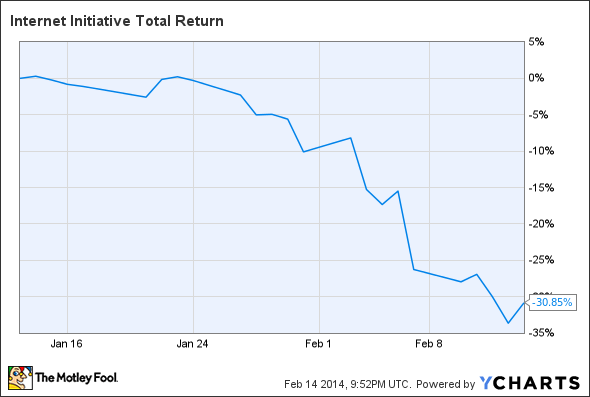 This drop might be just what value-oriented investors need to jump on board a strong stock having a bad time. Having run up so far, it was perhaps inevitable that Internet Initiative's shares suffered a setback. However, Internet Initiative's new full-year earnings target is now 11% lower than what it was for the 2013 fiscal year. Even so, that merely changes Internet Initiative's forward P/E to roughly 14, which is one of the lowest valuations at which it's ever traded since the end of the recession. The downside is that Internet Initiative might continue to underperform for the next fiscal year, which would effectively end its story as a growth stock. At such a low valuation, this one might deserve a closer look, but as this is its first trailing 12-month EPS slide to last multiple quarters, it's also taken on more apparent risk than it presented throughout its monster run. 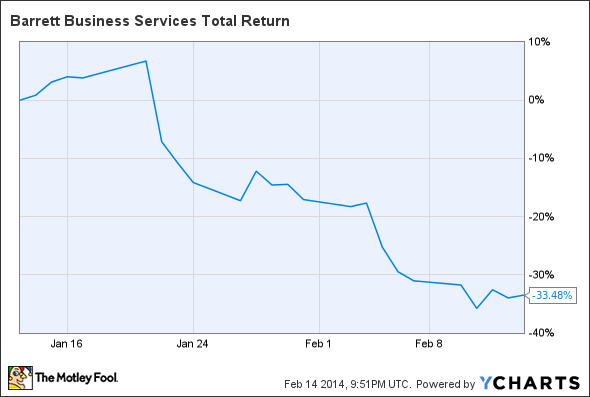 Where's the Cash Coming From at IBM? Are You Watching this Trend at IBM? Are Shorts Watching This Number at IBM?